Panaji, March 3 - Indian parents are now more open-minded and allow their wards the liberty to pursue alternative careers in dance, culinary arts and not just the hackneyed medicine and engineering, cricket legend Sachin Tendulkar said on Sunday. Addressing reporters on the sidelines of an off-roading event, BadRoadBuddies, organised by Apollo Tyres in South Goa's Quepem village, the Bharat Ratna awardee said his vision was to transform India from a sports-loving to a sports-playing nation. "Parents are open-minded now. You have so many celebrated chefs and professional dancers. India is slowly, slowly changing. And it's all about giving them (youth) opportunity at the right time and platform," Tendulkar said. "As far as our country is concerned, today the choice is not just confined to whether you want to be a doctor or an engineer," he said. 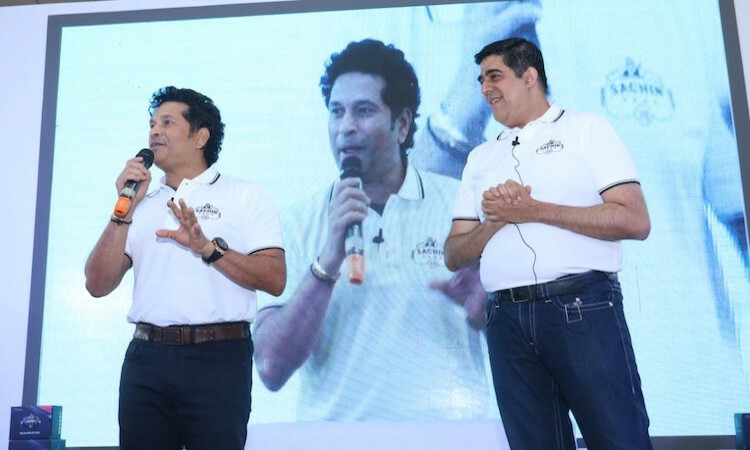 Underlining the importance of fitness, Tendulkar said it was key and when it came to maintaining one's health, there was always scope for improvement. "Let us all get fitter and healthier. I know we all like to feel fit. But the statistics, the number, don't say so. There is plenty of (room for) improvement. That is the message I want to give to everyone," he said. The record-setting cricketer said his vision was to get more Indian to actually play sports. "On number of occasions I have mentioned that India is a sports loving nation but not a sports playing nation. And that is what my aim is -- to transform India from a sports loving nation to a sports playing nation," he remarked. Also Read: Who will seal the spots in Indian Squad for World Cup?